Cho choose the path parallel to studying abroad, Thich Tam Tien's life experiences are so profound and closer to the youth. In his life he always aspires to help young people see the way they will go, identify what they want and how to do it to achieve it. Information Master Thich Tam Tien won a full scholarship of two world leading universities Harvard and Yale are shared throughout the social network. Prior to this great scholarship, this young monk impressed many young people through the teachings of Buddhism drenched in human ethics. Possessing bright face, flexible eyes, smiley mouth with graceful dimples, teacher Tien Tien (origin of Quang Tri) younger than his age 27. Dhamma to Tam Tien as a good cause. 15 years old, when you are still living in the family wrapped in the arms of the family 2 pm afternoon to school, Tam Tien decided to enter the temple, shaved head, go to practice. He became "student" at Hoang Phap Pagoda, Hoc Mon, Saigon since then. Going to the temple does not mean leaving the world; on the contrary, Tam Tien also focuses on learning more. He studied elementary and middle school in Vietnam, then studied bachelor in Thailand. 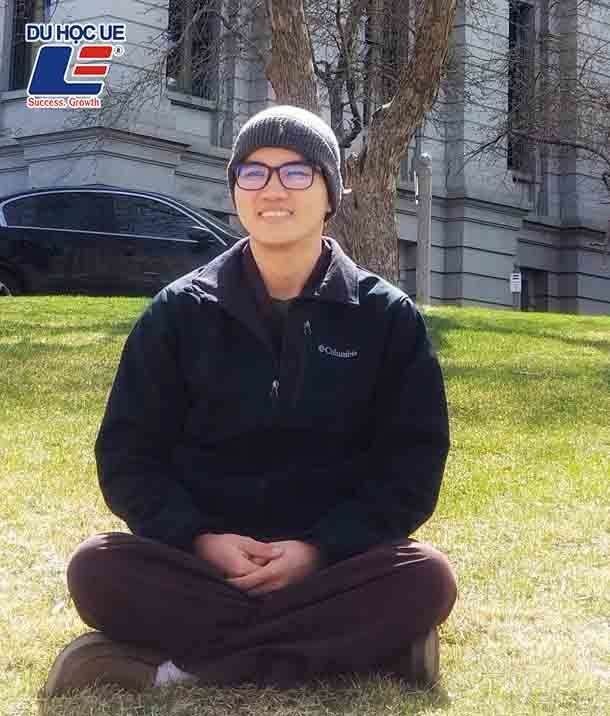 Currently, Tam Tien is studying for a master's degree in religious philosophy at Naropa University (USA). Yale University's 50% scholarship or 100% tuition support in the first academic year (to be considered in subsequent years) that Harvard sent to Tam Tien, is recognition, a reward worthy. for a special "student". Master Tam Tien has participated in the Buddhist Family Life since childhood and also thanks to which he learned the Dharma. Master's family tradition is that twice a month on the full moon and the first one is focused on chanting at home so that also help you know the Buddha's teachings. At the beginning of the monastery, the first days to get used to the life of a monk, the first to wear monks are the feelings that Tam Tien will never forget. He said: "It is a way to help you" back "back to life to help people but not a shirking. Many people think of the temple to be" peacefully " I think this thinking is too misleading to what the renunciants have done and are doing.No helpers get more people because they are not bothered about the family, children. And few people bring joy to us by our own inner peace. I have only one life to smile and dedicate to life, why do I have to worry about the loss of the world! Living with all that I have, that smile always shines the darkest days. " He studied at the International Buddhist College (in Thailand). The next destination on the path of knowledge of the young master is the master's degree at Naropa University, Colorado, USA. 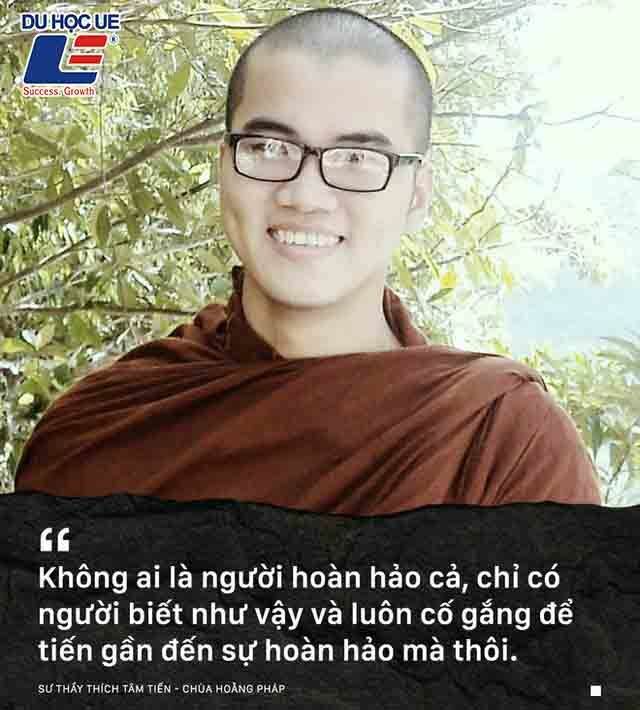 This May, Tam Tien will graduate. He decided to go to Harvard, three months later. With teachers, studying is a challenge and discovery, going to many places will learn many new things. He always thinks that "Tu tu not learn is blind - I do not want to be blind" where ". Know how to grow young, energetic so why not use that energy and youth to learn as much as possible? As such, later in life will serve society will be easier. Young people only once, each person should take advantage of that time so that when old he did not have to live in regret. What time do you go to study abroad? Tam Tien smiled, still smile charming grace. Teacher confided every day I also spend time meditating. At this time, Tam Tien found his heart really towards the homeland, the Buddha land. Meditation is not a form of religion, it is the way you calm down after a stressful day, meditation can also help us stress effectively. "The word" tu "with me is simply repaired and perfected.Anyone in this life also need to practice.Everyone needs to modify themselves to become better.I do not dare to speak more than anyone but myself I feel better every day through myself, more relaxed than I feel good. Modifying oneself also helps us to look deeply into the elements that are not good in us, we are sitting quietly to see that our actions, words can bring happiness but also can bring suffering others. So always go back to your self to when you treat people, always bring joy to them, "Tam Tien shared the secret to live happily. As a monk, to study abroad, many people ask the question of how to avoid the fun in life. Actually, the fun is that every class has, mostly its own mind is governed or run by the fun it or not. A monk like a teacher, not smoking, not drinking, not going out, ... the mind will not be entangled in any fun at all. The rich also suffer, not to say not! In the temple, day to do business with business but no thought of young people that Tam Tien do not know. On the other hand, he often attended lectures - teaching the Dharma to everyone so in the teacher, there is a very special empathy. What you care most about is how young people orient their future. Live with dreams, dream big and have the courage to pursue that dream. Contact and counseling for many young people, Tam Tien found that you are often "wandering" in life and in learning. In my life, I just want to help them see the way you go, no need to see clearly, just determine what you want and how to achieve it, any The difficulty I encounter is the ladder to climb a new peak. In his lectures, he always told the students that all of us who came to the pagoda also came to the place of peace, tranquility and tranquility of the soul. Long life in each of us is also suffering. Come to the temple to calm down your mind and can listen to lectures from teachers to find a way to solve the deadlock in life. Do not think the rich, the social status is not miserable. They do not dare speak out. They say they are afraid of hurting their ego. After all, it is time for people to want to avoid the market, avoiding greed and delusion in life so that the soul is pure. 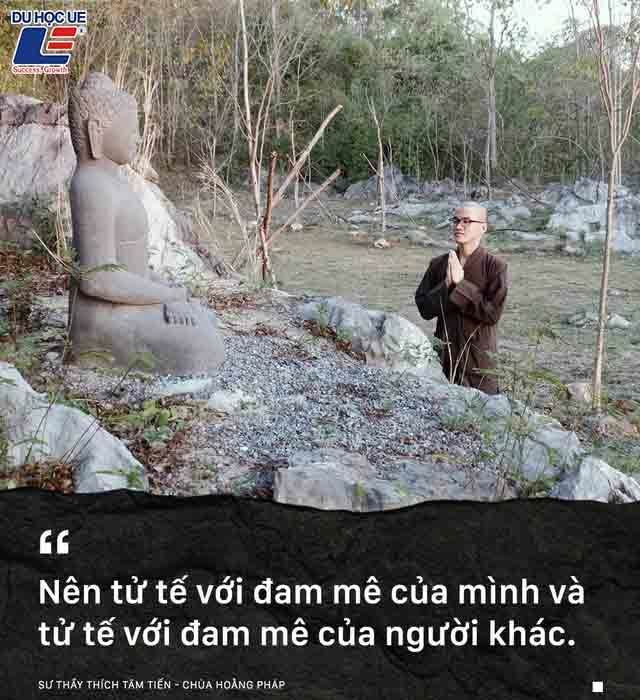 Master Tam Tien said: "To avoid being greedy in life must laugh a lot! When we have more difficult to laugh, I often joke" I laughed at his face ", laughed to know that the village The difficulty of this is also very impermanent.It comes over and it is over.Lucky to see that I am lucky to have the challenge to try myself, I am alive to "fight" with lazy In my body, and above all, laugh make myself beautiful! " His lecture is most shared among young people is that "in the world there is no mahout". How to find the perfect person in this life? "I know I have weaknesses and try to learn, so that weaknesses are stronger than good.If you know you are not good then you are good to some extent already. Watching things that are not good in themselves as mud, and using the mud to nourish the lotus is a good thing in you. " People rarely put themselves in the position of others to understand each other. He expressed that he should be kind to his passion and should be kind to the passion of others. Everyone has a life of their own. What they pursue, what they want to be, is their choice, as long as they keep the basic moral rules. I know the respect of the people is to respect yourself. Do not be afraid, do not judge and do not ignore your passion. There are new arrivals, destination does not matter by the way you go. "I like most of the words of Zen Master Nhat Hanh that" There is no way to happiness, happiness is the way. "On each path we go, if we find joy and happiness then achieve To dream or not is not important, because happiness itself is a path. " 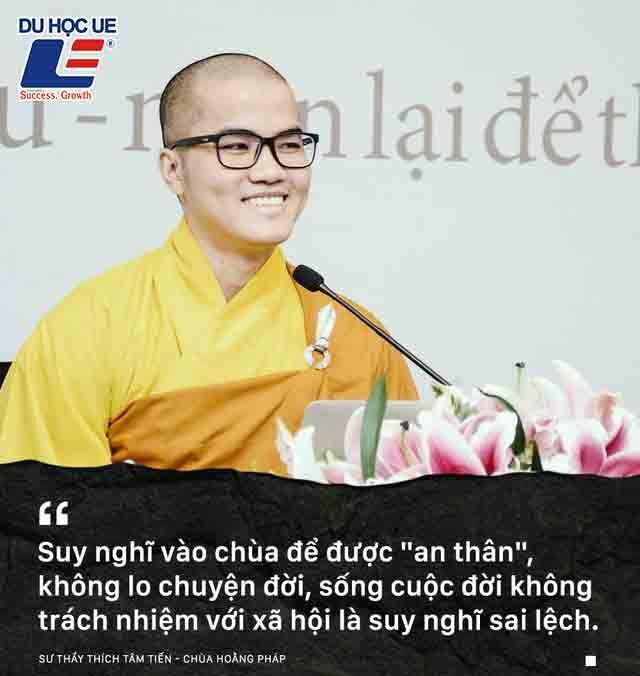 - Tam Tien said.